Rarely ever seen minus his TT branded clothing, there are few people involved in the TT more dedicated than Shaun Counsel. Long before practice week begins the Mountain Course inspection officer is on call, travelling the circuit in his course inspection car, dealing with any problems that crop up. Working closely with Clerk of the Course Gary Thompson throughout the build up to the two-week festival, Counsel seeks the advice of the people who know the Mountain course best. 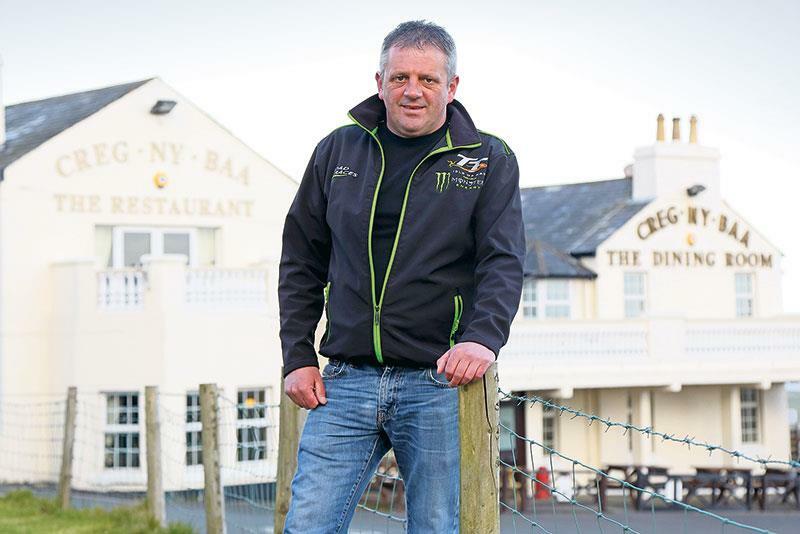 “I’ve asked John McGuinness what he thinks about the course and I also have a word with a few riders further down the field to get their opinion on things,” he explains. The TT racers are always happy to help out but some are more responsive than others. There has been some major resurfacing work on the mountain section of the course prior to TT 2016 and Counsel has played a central role in changes that might make the 132mph circuit record even faster. One of the toughest parts of Counsel’s jobs is investigating TT crashes. “If there is a red flag I will get sent out in the course car to assess the area where the incident occurred to assess what has happened and see if any of the course furniture has been damaged” he explains. In typical TT fashion, there are also surreal moments of humour amidst the serious business of keeping the TT show on the road. “One morning I was doing an inspection lap, coming along the mountain mile at 6.30am, when I saw a bike in front of me,” he smiles. “As I got closer I realised the rider had no shirt on and when I got alongside him I had to look twice because he didn’t have any clothes on at all, not a stitch! He just winked at me and gave me a wave! “I look forward to the TT but in the last few weeks running up to the races I do get a little stressed out,” Counsel admits. 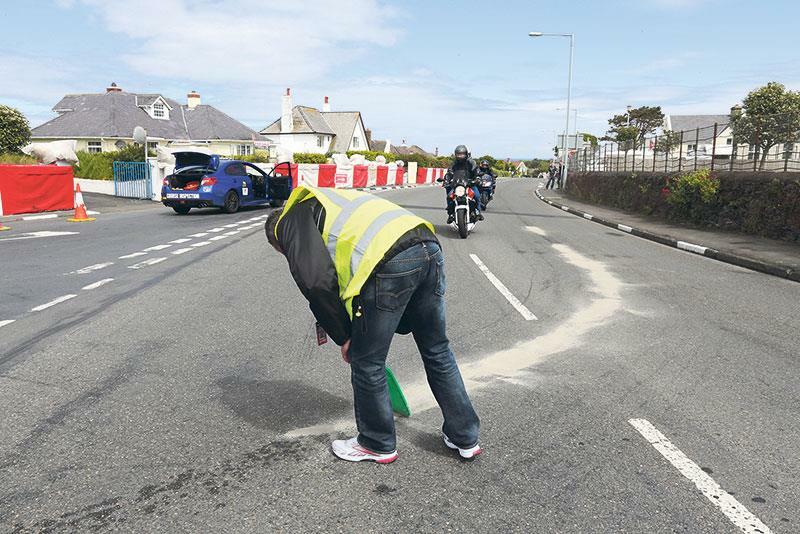 For everyone involved in the TT, the race plays a central role in their lives and Shaun Counsel, the Mountain Course inspection officer, is no exception. “I took on this role in 2006,” the 45-year-old Douglas man explains as we chat over a pint in his local, The Cat with No Tail, during a rare evening off duty. By the time the rest of us get to the Island, Counsel has already completed most of his set-up . “It starts getting busy from the end of January and we have to contact various landowners to get permission to put course hardware on their land. The ability to strike up a good relationship with people is a critical part of Counsel’s job as he soothes the way during the huge change the TT involves for the people who live around the 37 ¾-mile circuit. “There are probably a couple of thousand residents involved, maybe more,” he says.